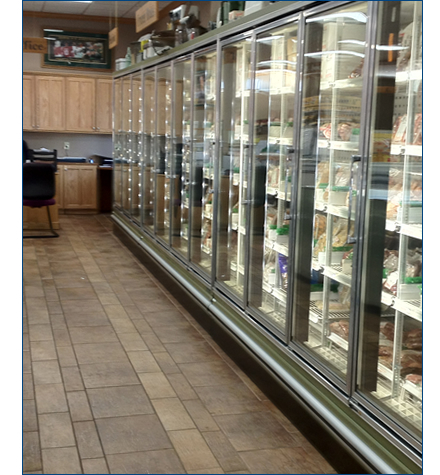 Commercial Refrigeration Service of Watertown WI truly cares about our customer's needs. We know how critical response time is when servicing your commercial refrigeration equipment, so we have implemented an electronic dispatching system which allows us to schedule, assign and dispatch quicker to meet our customer's needs. We can also update our customers throughout the work order process keeping our customer's informed. Commercial Refrigeration Service of Watertown WI provides repairs, sales, service and installation of most major brands of commercial refrigeration equipment including reach-in freezers, walk-in coolers, ice machines, undercounter refrigerators, countertop freezers, glass door refrigerators and freezers, sandwich prep tables and deep freezers. With our many years of commercial refrigeration service experience, we can take care of all of your needs regarding commercial refrigeration service. We also provide 24 hour-a-day, 365 days-a-year emergency customer service support to ensure our customer's refrigeration equipment is working properly all the time. © Maass Refrigeration Service, LLC. All Rights Reserved.